Most people think they have to tackle a landscape renovation during the warm spring and summer months. This is a big misconception. 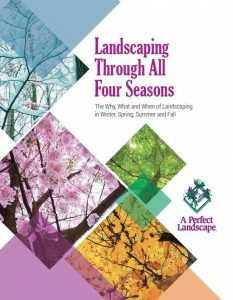 There are many advantages to tackling your landscape renovation through every season of the year.